In March 2015, Food for the Hungry (FH) Canada provided a large shipment of medicine for refugees in the northern region of Iraq, called Kurdistan. The shipment included 120 different medicines specifically requested by the Ministry of Health to meet real and pressing needs. The supplies were distributed to assist Syrian refugees and Iraqi Kurdish IDPs (internally displaced people) fleeing persecution from the terrorist group ISIS. This medicine is helping approximately 900,000 people in the Duhok City area where the Ministry of Health has set up three clinics to service the 21IDP camps already in place. A mobile clinic is also deployed as needed and is benefiting from the FH delivered medicine. The shipment of medicine was estimated to last approximately six to eight months - so it's time to send another! In mid July 2015, FH sent a second shipment to Kurdistan to help more refugees. This time, a 40FT container of Gleaners dried soup mix was the cargo. Sadly, many Syrian refugees arriving in northern Iraq cannot find space in a camp and end up on long wait lists. 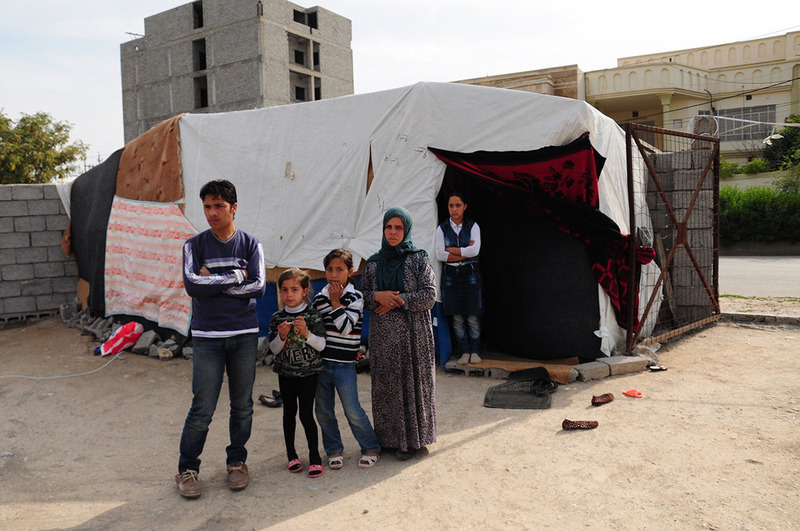 According to the Iraqi Red Crescent, there are 82,000 refugees in the city of Erbil, alone. These families face hunger, illness, discrimination, violence, language barriers, deepening poverty, and many more challenges as they struggle to survive and care for their children. They live crowded with other families, or in abandoned buildings, or in makeshift shelters in the surrounding countryside. Work is hard to come by, rent is expensive, and not having a proper status, the country makes refugees vulnerable to all kinds of dangers. To help these refugees, FH is partnering with a locally-based NGO to bring relief to the city-dwelling, Syrian refugees who don't have access to the provisions and security provided by UN camps. The one million servings of soup shipped in July recently arrived in the region and is right now waiting to be processed by the local government. Once admitted to the country, this container of dried soup mix can feed approximately 5,000 refugees a day for six months! Pray for the swift delivery of this urgently needed food aid. With your help, FH Canada plans to send more containers of food and medical supplies over the next many months to support the Syrian refugees struggling to survive in northern Iraq.